Article Three Cups Coffee Day Really Extend Age? Three Cups Coffee Day Really Extend Age? IATA. Org - This is good news for you who like to drink coffee. 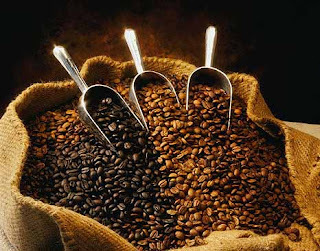 One study indicates that adults who consume three or more cups of coffee a day tend to live longer. In fact, the risk of dying from the most common causes decreased by 10 percent than those who drank no coffee. This is a large-scale research conducted by experts from the U.S. National Cancer Institute, which involved nearly 400,000 people. This finding applies to those aged 50-71 years both drinkers of caffeinated coffee or decaffeinated. Research shows that coffee drinking was associated with a decreased risk of death from heart disease, respiratory disease, stroke, diabetes, infections, and injuries and accidents. However, researchers stress, contribute to improving the health of coffee consumption remains unclear. These findings do not establish causality. "I think these findings are really important to point out that our study is an observational study. That is, we only ask how much they drank coffee and then watching them," said lead researcher Neal Freedman, of the U.S. National Cancer Institute in Rockville, Md.. Freedman revealed coffee drinkers tend to smoke more generally - is the leading cause of death. "We found that coffee drinkers tend to face a higher risk of death. But when we do not connect it with cigarettes, we found an inverse relationship." he said. study was published on May 17, 2012 in the New England Journal of Medicine. For this study, the researchers focused on the eating habits of 400,000 men and women involved in the National Institutes of Health-AARP Diet and Health Study between 1995 and of 1996. None of the participants had a history of cancer, stroke or heart disease. Each participant was asked about their coffee consumption, ranging from zero to six cups a day or more. The health condition of participants tracked since 2008 or until death. The results showed that drinking even one cup of coffee a day was associated a lower risk of death. But uniquely, coffee drinking is not associated with a decreased risk of cancer death in women, and only have a protective effect in men only. The protective effect appeared greater among those who drank more than one cup a day. Even so, Freedman noted, few benefits were seen in those who drank two cups a day and six cups a day. "Going forward, we need to really look at the different components in coffee. Besides caffeine, coffee contains about 1,000 other compounds and antioxidant , some of which may be beneficial and some not, "said Freedman. Freedman added, and the way of presenting a good selection of coffee types also need to be explored further. "We do not know if this also affects the progression of the disease," he explained. Sources: Helatydaynews Freedman recommends, everyone should consult a doctor before starting to drink more coffee. The reason, personal health history can affect how much the amount of coffee consumption are allowed to receive.